A garage is a must to any home, especially those who have cars or automobiles. There are those who opted for a detached garage, because it has its advantages. First off, a detached garage can be placed at an angle away from the house. You can also choose from a variety of styles and design, and it is flexible according to your preference because you can change the style without compromising the look of your entire house. A detached garage can also be used to store some flammable materials that can be harmful if kept inside the house, especially if there are children around. Most importantly, a detached garage can be your own personal space and alone time, especially for those who love fixing and changing the look of their cars since it provides them with privacy without interruption from other people. 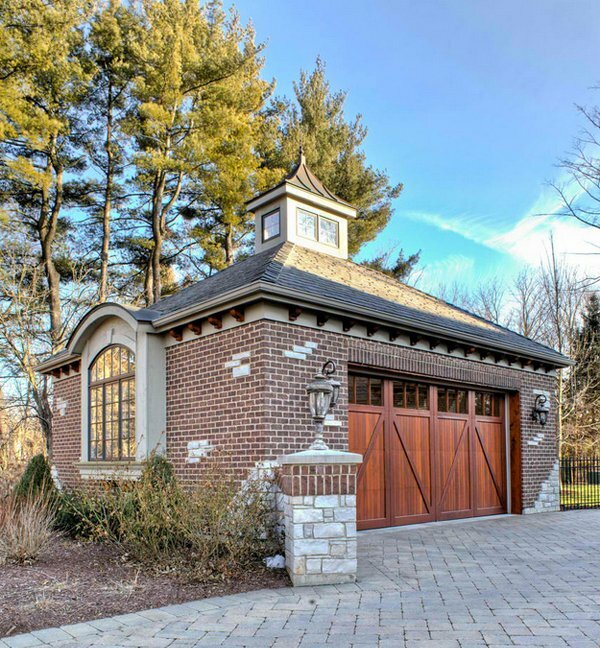 In our article today, we are featuring 20 Traditional Architecture Inspired Detached Garages. 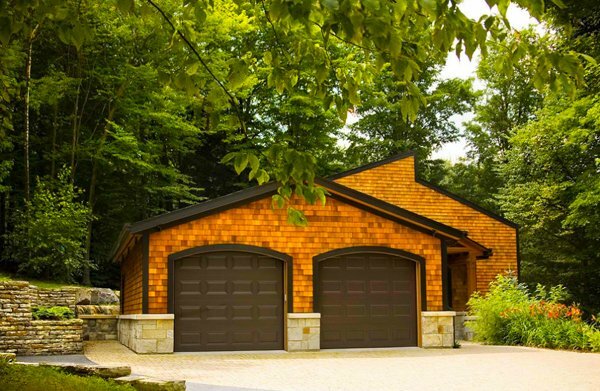 Traditional architecture refers mostly to the type of materials used in creating the garage, usually made with wood, shingles and some utilize bricks for the wall. So, that said, please feel free to check these out and pick out what inspires you the most. 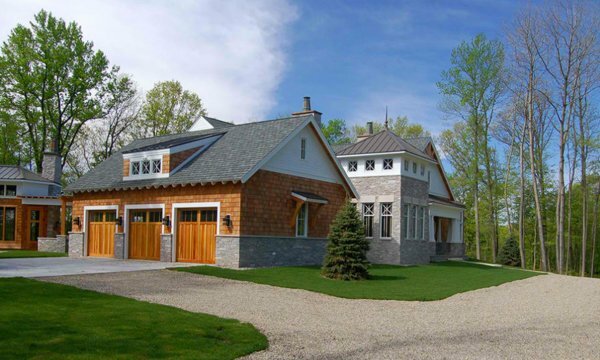 A simple but elegant three car garage that has a carriage house design, perfect for those who goes for the whole traditional and French inspired look. 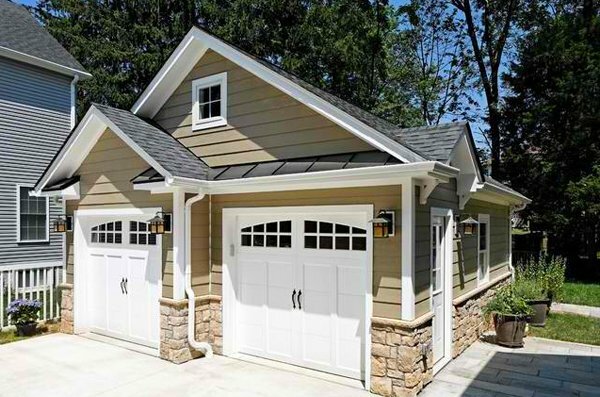 The nice detail around the garage and the overhang design makes it simple yet elegant. 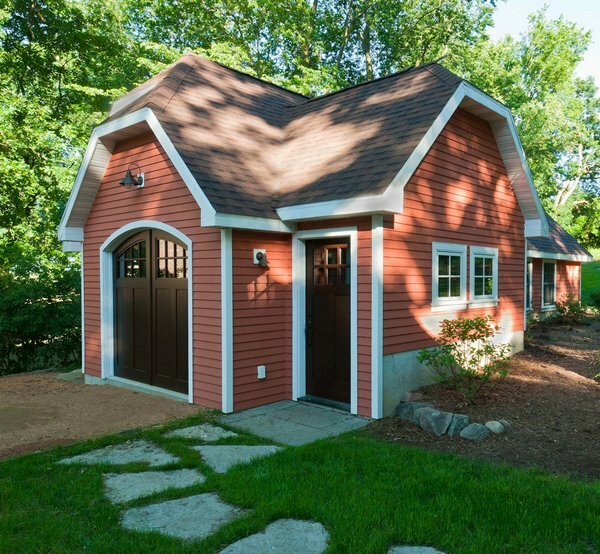 This cute traditional garage has room for two cars and extra storage space. The neutral colour of the exterior makes it attractive and surely captivates the eyes of passers. 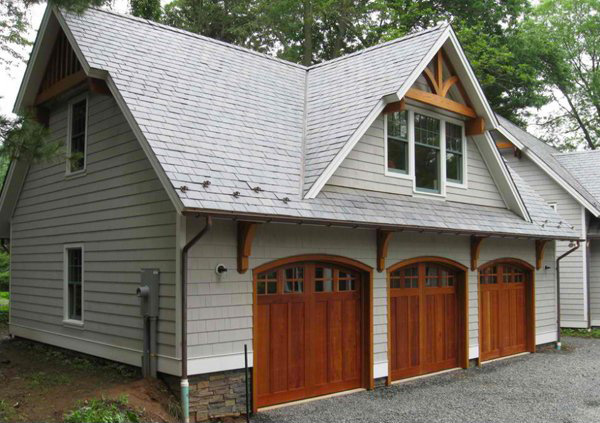 This traditional garage has a rustic edge to its design, especially accentuated by the stone and wood combination of its exterior design. 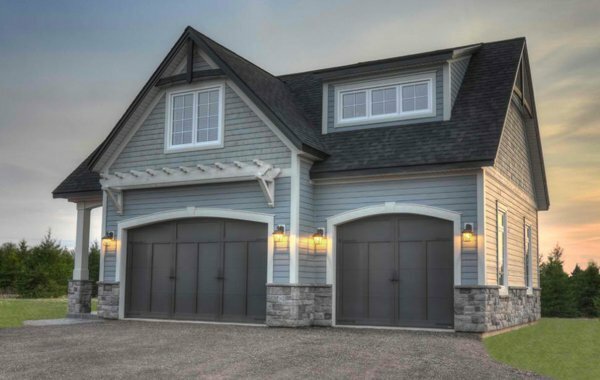 A traditional two car garage with blue grey and reddish brick on its exterior and garage doors that have warm colours that accentuates it’s simple yet elegant beauty. Those ferns and window dormers adds some kind of fairy tale appeal to the exterior. 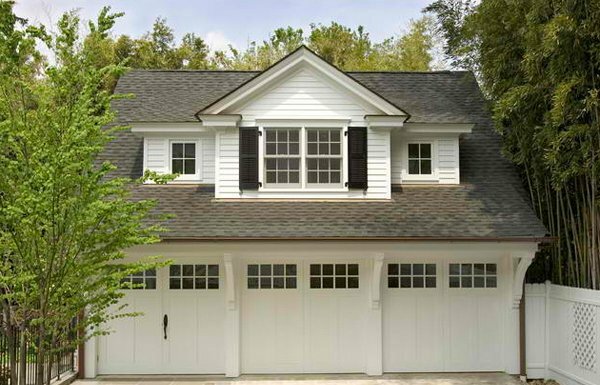 This garage has a simple but elegant feel to it emphasized by its red brick wall exterior and wood garage doors. The arched window and the cute cupola on top make it even more attractive. 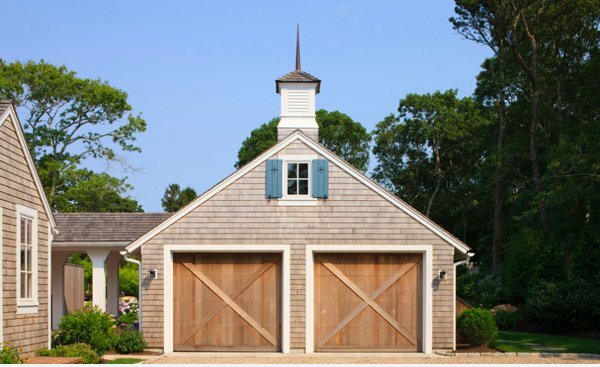 This two car garage is another simple yet elegant traditional design. 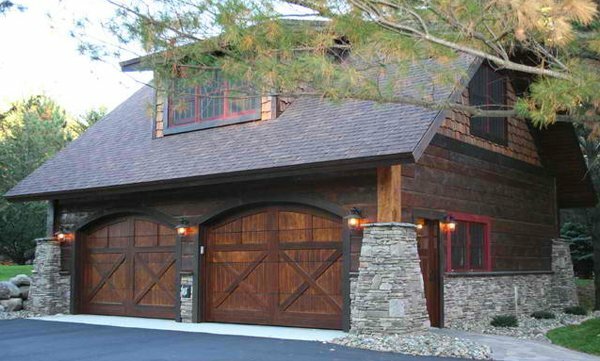 The use of stone, wood and shutters to emphasize the garage design has a timeless appeal to it. This three car garage is appealing due to the sharp use of colours to its exterior. The wood brick shingles and stone exterior accent and windows above makes it look cool and cute at the same time. 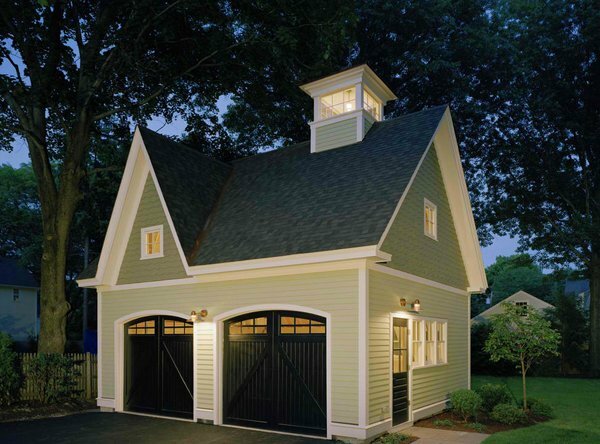 This traditional two door garage is a nice replica of a small Victorian inspired design house. The colour combination of black and green is simple yet beautiful and cool to the eyes. This traditional two door garage has an interesting colour scheme to its exterior. The black garage doors and roof combined with white wood siding and stone wall gives is simple as well as unique. 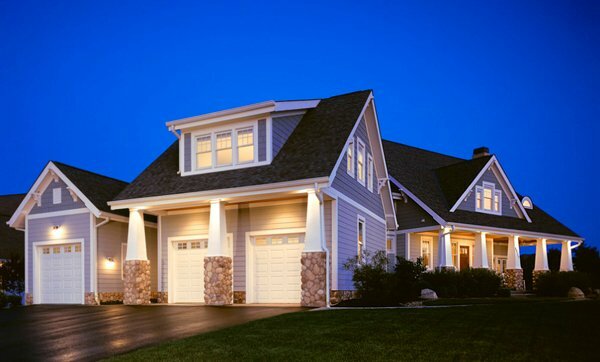 Another elegant traditional detached garage emphasized by the look of stone and beams with porch and the contrast white paint on the siding and rocks makes it even more beautiful. 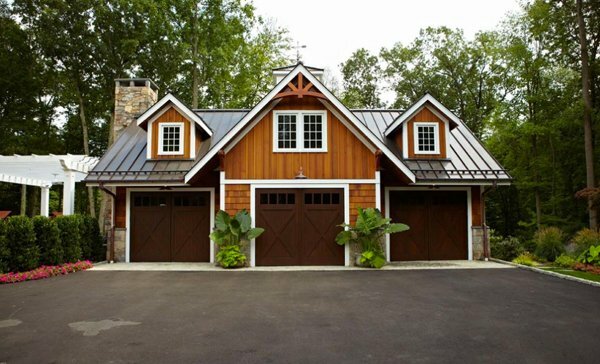 This custom made Celtic inspired garage is not only simple but elegant as well. The doors were custom made to create this “old school” design inspiration that is truly eye-catching. 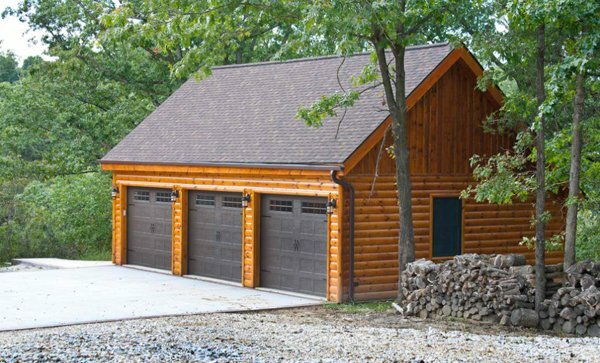 TR Building & Remodeling Inc.
Another attractive traditional garage that is not only simple, but beautiful as well. The bright colour palate and material combination gives it a chick and rustic nature. This three window garage has another interesting colour combination that makes it attractive yet simple. The rustic wooden touches to a whitish house make it even more elegant. This traditional garage has two wooden doors, shingle roof and siding and also a walkway between the garage and the house that is set at the back for easy access. It is simple as well as beautiful. 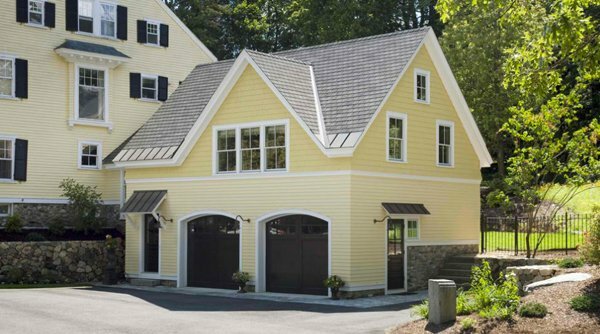 This simple and elegant detached garage has the impression of a carriage house. There is also a room attached above the garage with a small round window that looks cute. This garage looks like a mini-barn because of its red hard plank, white trim and chocolate brown doors. It gives the appearance of being small from the front, but in another angle, it is quite large. This garage looks like a small replica of the large house next to it. The yellow and grey colour combination with the metal trim along the roof line makes it even more attractive. 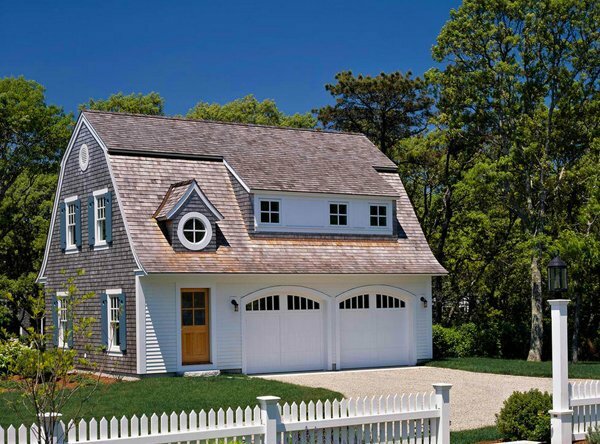 This traditional inspired two car garage has a rustic look to its exterior because of the shingle siding and shaker siding on the walls. Those windows also add beauty as well as allowing light to enter the garage interior. 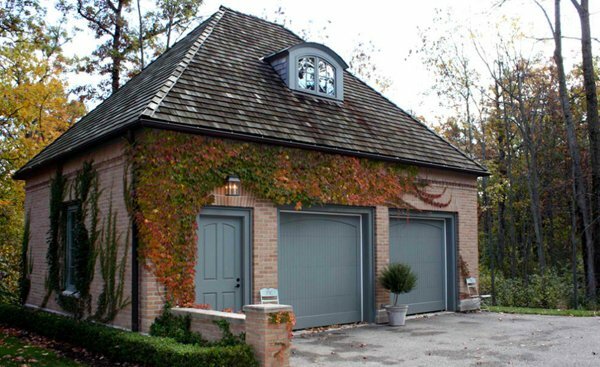 This beautiful garage was designed by Paysages Rodier Landscape Architects & Designers. The wood shingle combination and dark brown double garage door is simply a stunning combination. 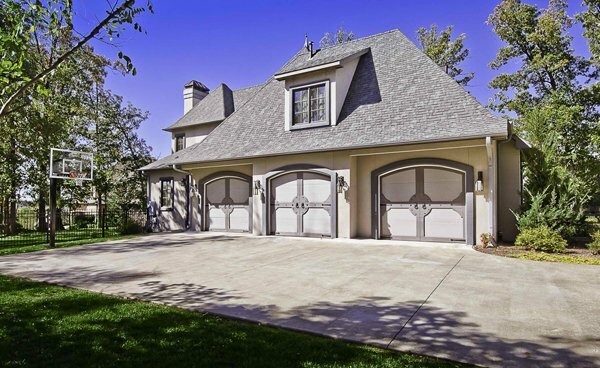 This detached garage that sits far back from the house is simply beautiful. 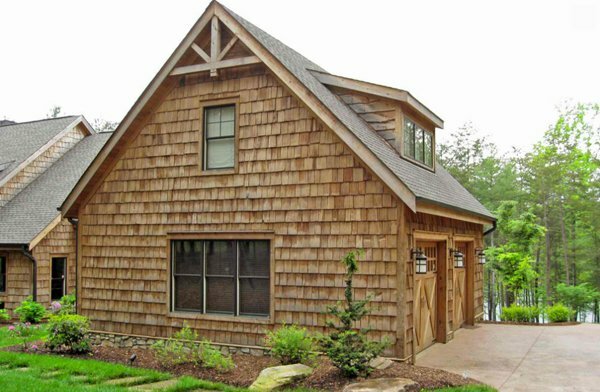 It is a three door garage with sand creek post and beam and wood siding that gives it a rustic edge. 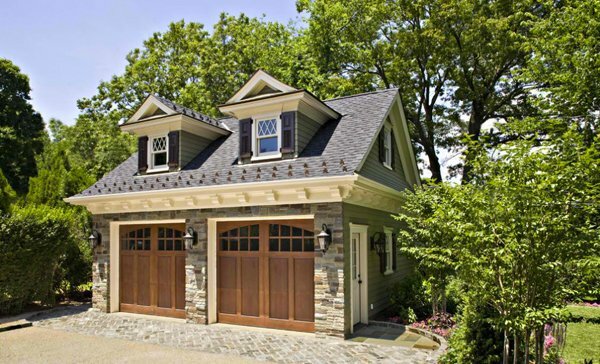 Traditional detached garages are sure a beauty in their own way. It gives the whole simple but elegant saying a whole new meaning. As reflected above, they give a touch of class to one’s home and property. If you want to build not just a garage but an entire home, check on our tips on how to build your dream home.